Wednesday March 27, 2019 - The planned impeachment of Deputy President William Ruto by Raila Odinga’s ODM has continued to elicit mixed reactions from across the political divide. This is after former Gem MP, Jokoyo Midiwo, dismissed the impeachment motion debate against Ruto which was precipitated by Siaya Senator James Orengo. Speaking during an interview at NTV on Wednesday, Midiwo insisted that the impeachment debate was misplaced, adding that Ruto should first be subjected to investigation agencies before such motions. “Nobody has taken William Ruto to court, give him a break," argued Midiwo. 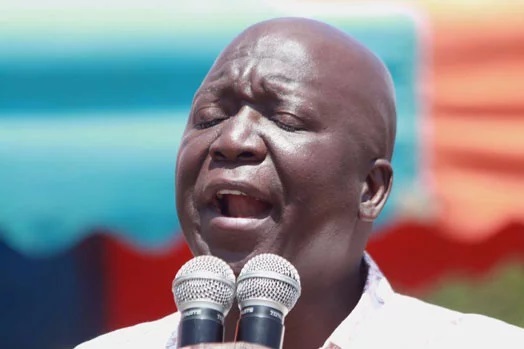 At the same time, Midiwo accused ODM of dragging DP Ruto's name in the Ugenya parliamentary by-elections due in April, arguing that the team is using the tag to unfairly block David Ochieng's chances. “The young man has nothing to do with Ruto," he said.